Ukuleles, Adele, Bach, Beethoven, John Cage, Lady Gaga, Katie Perry, Mario Brothers, The Book of Mormon, and Harry Potter make up the top ten musician gift giving chart for 2011. The ukulele is a very hot instrument this holiday. Sheet Music Plus's gift certificates are also a great option, as recipients have over 790,000 titles to choose form. John Williams deluxe scores are an especially perfect gift; they feature full score notation and text in a beautifully printed spiral-bound book. Favorites include Harry Potter, Star Wars, Clouse Encounters, JFK, and Far & Away. Urtext Masterpiece Editions are distinguished by their meticulous musicological research, fine engraving, non-glare paper and professional bindings. Urtext editions are as true to the composer’s original intent as possible. While many people may own versions of the classics, few actually buy themselves the Urtext version – making this a gift they will absolutely love. Stand-outs this 2011 season include: G. Henle and Baerenretier Verlag. John Cage’s 4’ 33’ famous piece ‘silent’. Although you don’t really need to buy sheet music for this piece, lovers of modern classical will enjoy this gift. Chart toppers and new releases, which are now 25 percent off at Sheet Music Plus. Adele 21, the Grammy-winning, British artist’s second album has enjoyed critical acclaim for her performance and introspective song writing and the Grammy Award-winning Michael Buble’s Christmas are two 2011 favorites. Sheet Music from the Broadway Musical The Book of Mormon. The sheet music from this hilarious Tony Award-winning Broadway blockbuster by the creators of South Park is flying off Sheet Music Plus’s shelves! Top Hits of 2011, a collection of 19 songs from the year’s best, including Lady Gaga, Jason Aldean, Katy Perry, Adele, Taylor Swift and more. Super Mario Series for Piano—finally, the officially licensed sheet Music for the Super Mario Brothers video game series. 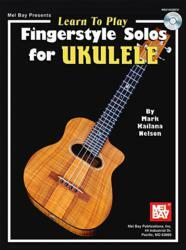 Alfred’s Teach yourself to play Ukulele showcases the hottest trending instrument of the year and includes everything you need to learn to play it: the Ukulele, carrying bag, songbook and CD/DVD. The Fun and Famous Series: Want your 8 year old to practice? Give him/her music they will want to play. This series includes music such as Star Wars and Scooby Doo. Play Alongs, which are on sale right now at 20% off, include both a songbook and CD so you can play your favorite songs with backing CD tracks. They’re perfect for practice or just for fun. Instrument gift packs for the budding musician or anyone who wants to learn to play: The Kid’s Guitar Course 1 includes literally everything you need to play: a guitar, carrying case, electronic tuner, picks and Songbook/CD. FastTrack Mini Harmonica Pack includes everything you need to learn to play: Harmonica, softcover songbook and CD. Sheet music from Sheet Music Plus is a substantial gift; it is professionally printed on 9” x 12” high-quality paper. Sheet Music Plus’s high-end versions of the classics—Bach, Beethoven, Mozart—are especially popular gifts, as are songbooks or compilations. In addition, the packaging of multiple songs together creates a very cost effective gift—as low as 25 cents per song. Compilations also make great gifts because you are sure to gift something new for your favorite musician to play! Earlier this fall, Sheet Music Plus launched their Digital Print Music Collection, which is the ultimate in both last minute gifts and instant gratification; gift givers can purchase a gift certificate which is e-mailed to the recipient who can right away download their chosen sheet music! Over 134,000 digital sheet music titles are now available instantly to consumers the world over. Sheet Music Plus offers the world's largest selection of sheet music. It is the premier online sheet music source for music books, music sheets, songbooks, music scores, choral sheet music and more. Sheet Music Plus features all styles of music, for every talent level and instrument. Everything from piano sheet music to flute sheet music, choral sheet music and octavos to guitar tabs, Christian sheet music to Jazz sheet music is available from Sheet Music Plus. Sheet Music Plus was founded in 1997 to offer musicians a full spectrum of sheet music, with fast delivery and trained musicians offering customer service. Their 25,000 square foot warehouse provides musicians with music from more than 1,000 publishers, including all major European publishers. By selling exclusively online, Sheet Music Plus is able to offer a huge music selection at unbeatable prices to customers worldwide. Over the past decade their outstanding service and selection has made them the premier destination for sheet music worldwide. They provide in-depth item descriptions for all their products, including "Look inside" images and sound clips for many products. Sheet Music Plus also publishes user reviews making comments and evaluations by fellow musicians readily available. Additionally, Sheet Music Plus backs each purpose with their 100% satisfaction guarantee. As a major player in the global marketplace, Sheet Music Plus customers can pay with any major credit card or Paypal.